Hi. My first name is long so you can call me Tonks. Like any caring Hufflepuff, I love playing with my siblings. I love to climb and hang out at the top of a cat tree or on cat shelves. I love to chase balls and wand toys. After some serious play time I just want to curl up in your lap for my cat nap. 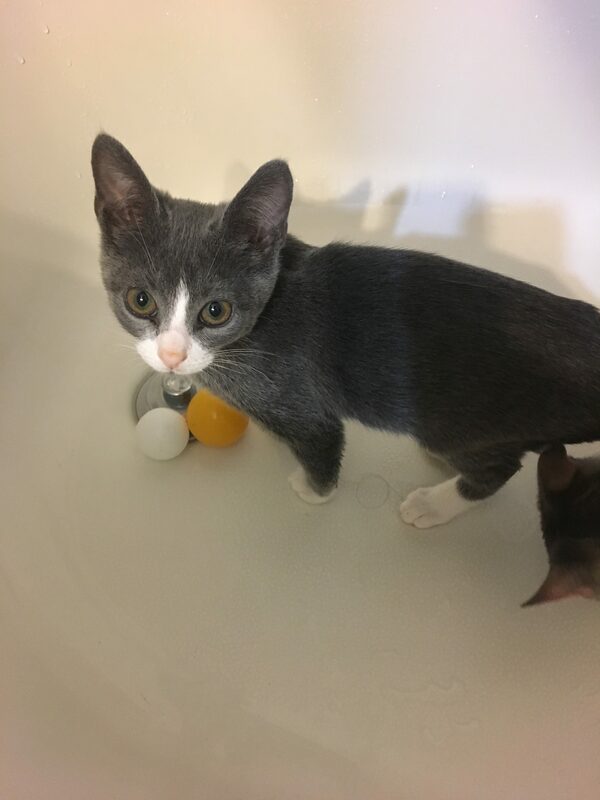 I am a very playful and active kitten but also can be shy in new situations and must be adopted into a home with one of my siblings, Ginny, Ron or Harry. PS Harry told me he saw Moaning Myrtle in the drain so don’t be surprised if I check out the tub or shower after the water stops running of course. For more information or to meet Nymphadora, please email cats@lostdogrescue.org or call (703)295-DOGS.